This is a full-color guide for young athletes interested in track and field. With a history that dates back to the time of the ancient Greeks, track and field demands a wide range of abilities and workouts from those who compete - including the high jump, shot put, hurdles, distance races, and sprint races. Today track and field ranks only slightly behind basketball and soccer in its popularity among female athletes. 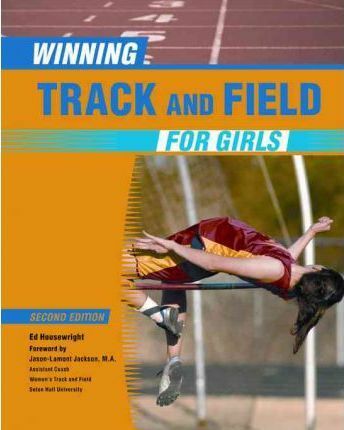 ""Winning Track and Field for Girls, Second Edition"" explains the basics of the sport, the rules, and how to train safely for track and field events. Specific exercises, techniques, and workouts are included, as well as the history of track and field, nutrition, and fitness training. More than 100 new full-color photographs and two new full-color diagrams have been added, and new drills, new exercises, and current information on the rules of track and field events round out this informative, updated guide. Chapters include: History; Sprints; Hurdles; Middle-Distance and Long-Distance Races; Relays; Jumping Events; Throwing Events; Heptathlon, Cross-Country Marathon, and Triathlon; Mental Preparation and Nutrition; and, Stretches and Weight Lifting. "...refreshing...detailed yet easy to read...[a] good resource...for girls interested in pursuing sports." - School Library Journal"
Ed Housewright is a writer, editor, and award-winning reporter for the Dallas Morning News. His work has appeared in Golf Digest, and he is the author of 100 Things Cowboy Fans Should Know and Do Before They Die. He lives in Dallas, Texas. Jason-Lamont Jackson is the assistant track and field coach at Seton Hall University and a former head coach at Columbia High School in Maplewood, New Jersey.